Aldo Sohm and Gerhard Kracher, two Austrians, first met in New York, in 2004. Their friendship was cemented over a shared devotion to great food and wine. It wasn’t long before they realized this love extended to the dry grüner veltliners of their homeland — and a desire to make them. A few years later, at a tasting, Aldo had an epiphany when he was asked by several winemakers to critique their wines: “I found myself thinking: I have never made wine! Who am I to criticize it?” Over a long lunch later that year, the Sohm & Kracher project was born. Given the strength of the partnership and shared vision, Aldo and Gerhard had little trouble honing their concept: grüner veltliner grown in the Weinviertel — a region they recognized as underestimated, given its old vineyards, diverse soils, and unique microclimate — and made in accordance with two basic principles: the wines should be (low to) moderate in alcohol and should never be unctuous in character. Since their first vintage in 2009 they have kept a sharp focus on grüner veltliner, even as they have widened the scope of exploration across sites and styles — from the brisk, peppery “Lion” to the Chablis-like “St. Georg.” They now work with several crus in the Weinviertel and one pure limestone parcel in the village of St. Georgen, Burgenland, almost directly across the Neusiedlersee from the Kracher family winery in Illmitz. Gerhard is the son of the late Alois Kracher Jr. — a profoundly influential force in Austrian winemaking. In the 1980s, Alois recognized that Seewinkl, home to the sweet wine-producing area of Burgenland where the Kracher Winery is located, had the climate and geography to make world class Trockenbeerenauslese. It took some clever efforts to convince the world that he had elevated Austrian sweet winemaking to a level worthy of their regard, but once he did, this otherwise unremarkable wine growing subregion has been inked on the map. Alois passed away in 2007, leaving the estate to Gerhard, who, fortunately, had already been deeply involved in its workings since age 19 and has ably maintained and his father’s standards in making some of the world’s top botrytised wines. Outside the cellar, Gerhard’s “always on the hunt for culinary treasures,” as well as fishing and cycling — though “not as professional as Aldo,” he quips. The Weinviertel (“wine quarter”) is a quintessential European landscape of rolling fields and vineyards dotted with tidy, attractive villages. It is quite large — easily four times the size of the Kremstal, for instance — comprising the northeastern corner of Austria, from the Czech border the Slovakian, from the edge of Kamptal and Wagram to the Vienna city limits. It encompasses a correspondingly broad range of elevations, climates, and soils. Although grüner veltliner has a fairly brief history here, it is undoubtedly the grape of the Weinviertel. Nearly half of all vineyards are planted to this variety, which gives a signature expression of white pepper and vibrant acidity distinctive enough to have earned it Austria’s first DAC. Soils here tend to loam, gravel, and limestone; the climate is cool, shielded from the heat of the Pannonian Plain by the Slovakian hills. Burgenland, on the other hand, is better known for its noble sweet and red wines. But St. Georgen, near the low Leitha mountain range, is an exception — for more than one reason. This is the village where the second parent grape of grüner veltliner was discovered in 2000 (traminer is the mother vine, St. Georgen the father). The parcel Aldo and Gerhard work with is a cool, mid-slope site of pure Muschelkalk (shell limestone), characteristics that inspired them to make a beautifully textured, distinctly saline Chablis-style grüner veltliner. Aldo and Gerhard partner with growers who cultivate a combined six hectares in both regions. “It was not so easy to find the right guy who owns this type of vineyard and farms it with our vision,” Gerhard has said. Vine age is an important consideration; it ranges from 10 to 25 years for “Lion” up to 40-plus for “Single Vineyard.” The first wine they ever made, the “Single Vineyard,” comes from a half hectare about 25 minutes northeast of Vienna, in Wolkersdorf. It’s a south-facing hill of chalk-rich soils. For “Alte Reben” and “Lion,” the vineyards are an hour north of Vienna, in various south-/southeast-facing crus spread over five hectares in the Pulkautal. For St. Georg, the grapes are sourced from the Muschelkalk soils of a southeast-facing 0.4 hectares at the foot of the Leithagebirge, in St Georgen. All vineyards are 100% hand picked. While worldwide 2017 saw the lowest level of wine production in years, Austria was able to record a harvest that was very good in terms of quality and also blessed by abundant volume. The yield of 2.6 million hl (according to October’s third harvest estimate) amounted to a quarter above the five-year average, which will go a long way in filling cellars that in many places have been rather empty. True, there were late frosts in 2017 as well as hailstorms, but both caused substantially less damage than in the previous year. Only the Weinviertel experienced a more modest harvest compared with the average, due to extremely arid conditions in one of the hottest summers in a long time. Here, the yields were limited to 54 hl/ha while, for example, more than 73 hl/ha could have been harvested in the Kremstal. In general, drought conditions posed the greatest problem over the course of the vegetation cycle, since the irrigation of particularly stressed vineyard parcels found its limit in the estates’ labor capacity. The harvest this year commenced some two weeks earlier than usual, interrupted only by the rainy days in September. Low temperatures and good vine health allowed the clusters to withstand the bad weather relatively well. In general, folks are quite content with the well-ripened and very aromatic vintage—one in which varietal typicity really stands out. Overall, harvest estimates for 2016 came in at a satisfactory 1.6 million hectolitres—some 20% higher than 2015, despite a 10% decrease in yields in the Wachau, Carnuntum, and Thermenregion due to late frosts in April. 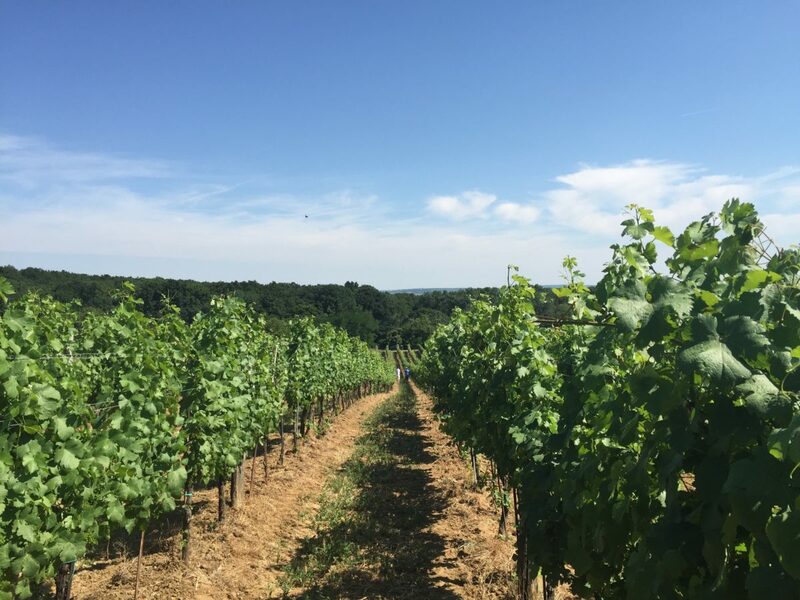 Persistent periods of rain during the summer constituted a special viticultural challenge, making the spread of Peronospora inevitable to a certain extent, despite intensive implementation of countermeasures. This year’s harvest began two weeks later than last year, but by and large, proceeded without encountering any adverse weather conditions or time constraints. Volume deficits in other Austrian federal states led to great demand for grapes, along with correspondingly higher prices. All in all, the 2016 vintage, apart from the frost, will remain a pleasant memory for winegrowers: very fine quality along with mostly trouble-free operations throughout harvest and in the cellar. It was a nicely matured and aromatic vintage, which the cool nights also blessed with a lovely depth of fruit. Fresh Welschrieslings and peppery Veltliners will gladden the hearts and the palates of wine lovers! The vintage 2015 was perfect from the bud break until harvest. A hot a dry summer resulted in small berries and high concentration. Exccellent quality in all categories. Ripe grapes lead to very aromatic wines with perfect balance. After a very mild winter and a beautifully dry beginning to Spring, an exceedingly cool, wet month of May was less than ideal. There was favorable weather during flowering, however, but after a brief heat wave the wet conditions returned and remained constant, more or less, for the entire summer. August in particular was extremely cloudy, lacking in sunshine. The final confirmation of a difficult vintage, however, was a very wet September and although the weather improved in October, it was too late as there had simply been too much rain and hail. Nevertheless, through the meticulous selection of grapes, the ever-reliable grüner veltliner delivered wines with plenty of fruitiness, lean to medium body and fresh acidity structure. Overall, many would say the vintage lacked concentration that is a result of a warm and dry growing season. While not extreme, the winter was colder than usual and, with high amounts of snow as well as sufficient rain, bestowed plenty of moisture to the soils – which ultimately turned out to be a blessing. The low temperatures in March and April resulted in a significant bud break delay and flowering that was even later than in the two previous years. In June, the wet, cold weather was followed by the first heat wave that strongly impaired pollination. Following immense flooding that occurred in June, extreme summer heat set in, bringing with it a series of never-ending hot days through July and August. This made the Summer of 2013 one of the five hottest in 100 years. In fact, August’s drought-like conditions brought the vegetation process nearly to a halt; young vineyards in particular were affected. Fortunately the soils remained very moist and as September came around, so did some rain. Conditions in September and October were very balanced though night temperatures were somehow cooler than in previous years. The grapes ripened on a steadily and the desired must weights were gradually achieved. As the occurrence of botrytis was low, nearly all harvested grapes were healthy. The coulure problems earlier in the season led to the formation of tiny, extra-sweet seedless grapes, known as Jungfernbeeren or “maiden berries”. These contributed to very dense wines with deep fruit, a broad range of aromas and flavors and a perfectly balanced acidity structure. The oldest rocks are the acidic schist and gneiss of the Austroalpine Superunit that form the central part of the Leitha Mountains and support the highest lying vineyards between Breitenbrunn and Donnerskirchen as well as individual vineyards at Eisenstadt and Oslip. However, the most striking rock of the area is the Leitha Limestone. It developed in the quiet shallow water of a warm sea that surrounded the Leitha mountain range approximately 16 - 11 million years ago where small reefs were able to grow. The Leitha Limestone is a consolidated, light-coloured algal limestone and is rich in remains of sea creatures such as mussels, gastropods and sharks. 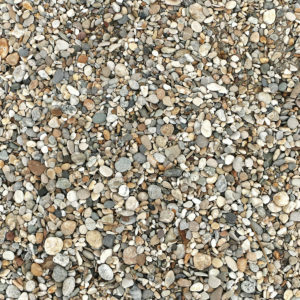 In contrast, slightly older, quartz-rich, sandy gravels occur on the Rust Ridge. 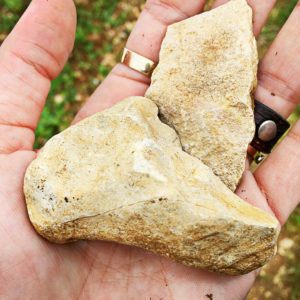 Separated by a tectonic displacement from the Leitha Limestone, two very different parent rocks of the vineyard soils are found here directly next to each other: on one hand, acidic and on the other hand calcareous. In the topographically lower levels the vineyards are located on unconsolidated, mostly calcareous silts, sands and gravels of the Pannonian Basin and on loam, lacustrine clay and alluvial gravel deposits. The deposits of the area of Pöttelsdorf form part of the Vienna Basin and are mostly fine-grained and locally covered by loam. 2015 Grüner Veltliner "Alte Reben"
2015 Grüner Veltliner "St. Georg"
2012 Grüner Veltliner "Single Vineyard"